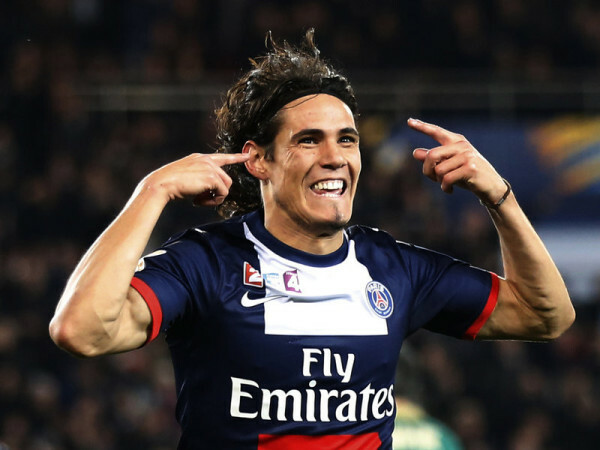 According to trusted news outlet, The Sun, Chelsea want to underline their long-term interest in Paris St. Germain and Uruguay striker Edinson Cavani by making a £32m bid, regarded as the former Palermo and Napoli hitman’s asking price, for his services in place of controversial striker Diego Costa, linked with a return to former club Atlético Madrid. Reports claim Roman Abramovich has personally spoken on phone with the player and reliable sources within Chelsea camp believe the player will be in England this week for further talks and possibly to undergo a medical. This was also seconded by French newspaper L’Equipe that 28-year old Cavani is reportedly frustrated with playing second fiddle to Swedish legend Zlatan Ibrahimovic at PSG and is holding on for a new challenge. It was also revealed that the French champions would want to save cost in the summer by hanging on to Ibrahimovic, whose contract expires at the end of the season. Chelsea will however need to see off rivals Manchester United for Cavani’s signature with doubts lingering over their captain Wayne Rooney in addition to the inconsistent form of young French striker Anthony Martial in the centre forward position. Signing Cavani will give Chelsea a big boost in their bid to get back to form and force their way into the top four as the title is now out of sight but making the top four which is the minimum is still very much within sight if the Blues can start winning their matches finally.